You will be charmed by the friendly welcome of my team, enchanted by the size of our rooms, delighted with our location. The only thing left is to say, "Come see us soon!" Spacious, contemporary design and adaptable, the Novotel room is truly a place for living. Perfect for all your needs. 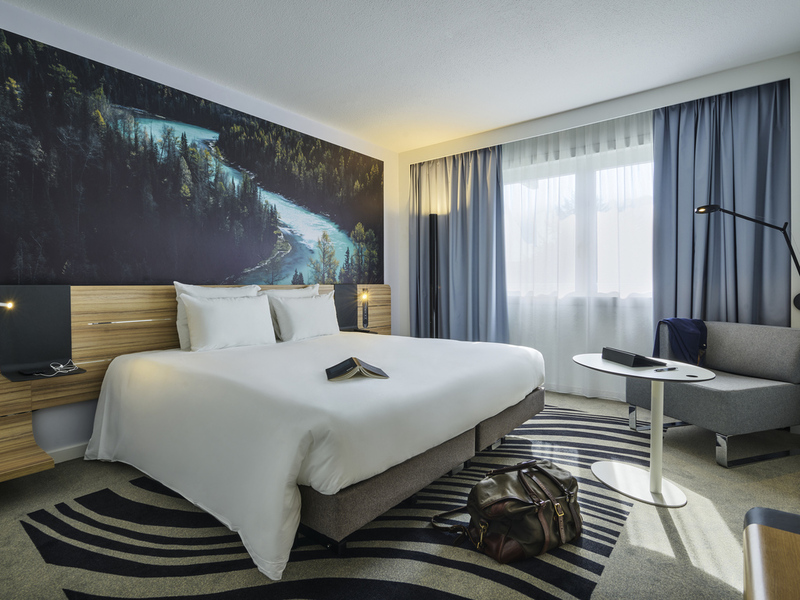 All rooms at the Hotel Novotel Massy Palaiseau measure 269 sq. ft. (25 m²) and offer free WIFI. Choose the Executive Room and enjoy a wellness kit with bathrobes and slippers, Nespresso coffee machine and free minibar.